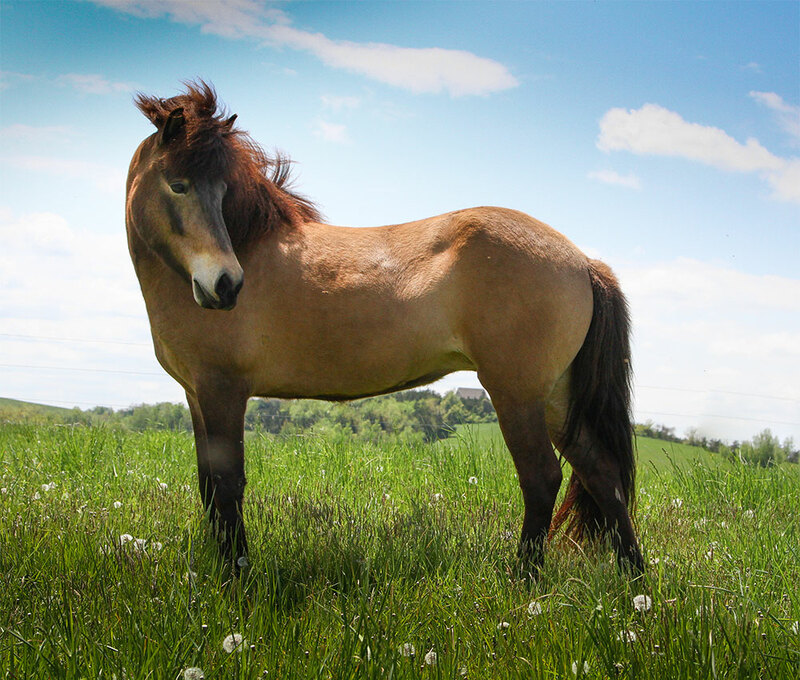 Catskill View Weddings & Events is located at Thor Icelandics, LLC., which is a working Icelandic horse farm. Thor Icelandics is home to over 50 Icelandic horses, and the horses are part of what make our facility so unique – we are the only Icelandic horse farm in North America that doubles as a wedding and event venue. But if horses aren't your thing, no problem! The horses don't directly have to be a part of your event, but you and your guests may see some dot our fields and barnyard area when you enter and drive through the farm – they will provide a beautiful entrance and backdrop for your day. Thor Icelandics is located in Claverack, NY, in the heart of bucolic Columbia County. We are proud to call the Hudson Valley our home and our farm boasts some of the most beautiful Hudson Valley views. Our Hill offers incomparable views of the Catskill Mountain range, and when the sun sets behind the mountains it will take your breath away! Our Hill is one of the few locations in the region that has a completely unobstructed view of the Catskill Mountains. And that gorgeous view along with our bucolic farm setting is sure to make your day all the more memorable, special, and unique. We offer three locations for you to choose from for your ceremony and or reception. Whether you prefer having your ceremony under the open sky with the Catskill Mountain range in the background and your reception at the Upper Track below – or vice versa – there are multiple choices and each is as unique as you are. Once you crest the hill, there is no question that you have arrived! The hill boasts a magnificent and an almost unmatched view that is unspoiled and unobstructed so that you have a complete 360 degree view of the Hudson Valley. When the sun sets over the Catskill Mountains, it is like no other. 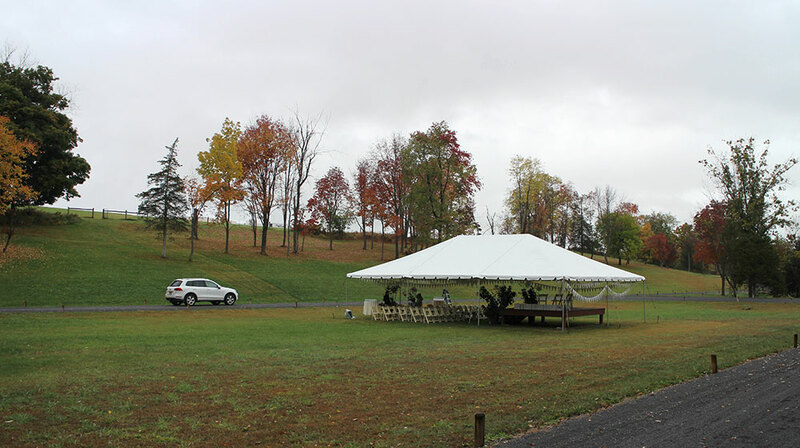 The Hill can easily accommodate a large tent and parking for 300 people, and it works as a blank canvas so that you can custom design your special day, just at a beautiful location with a view that will take your guests' breath away! Our Upper Track is located just below our Hill. It is very popular to conduct the ceremony on the Upper Track and then the reception on the Hill (at sunset). Our Upper Track is very protected in the heart of the farm and you are hidden in privacy, creating a very magical feeling. The only thing you'll see, besides nature, are horses in a field in the distance through the woods. Due to the design and layout of the Upper Track, the acoustics are amazing – music and joy echo through the air. The track's size, shape, and orientation easily accommodates up to 300 people with parking to the track's sides and above on the Hill. Our Lower Track is located close the farm's entrance and barnyard area. The Lower Track is situated in between multiple horse fields, so this location is ideal for the horse fans out there. The Lower Track is the same size and orientation as our Upper Track and so it easily accommodates a large tent and up to 300 people. From this track, you will see fields dotted with horses in the near foreground as well as off in the distance, and our large and beautiful barn off in the near distance. 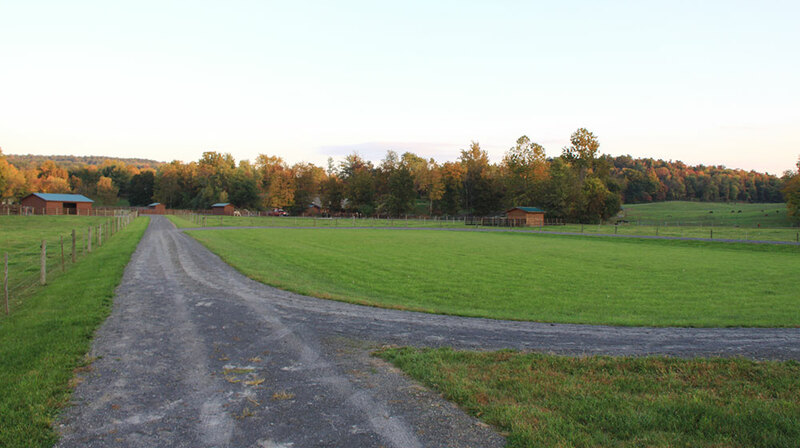 We are a working horse farm and so our barn and the immediate area surrounding it are where our horses live. We offer our barn and it's immediate area for photo shoots, and we also offer to have horses in your photos. Please inquire for all further details. We offer beautiful white benches that will seat up to 100 people for rent for your event. Whether you'd like to use them for seating for your reception, or for seating for your cocktail hour so that your guests can enjoy the view, they are a great addition to your event, and quite picturesque, too!